This year I told myself that I was going to work out more and just start living an overall healthier lifestyle. It’s not that I was living an unhealthy lifestyle before but I was finding my normal ‘health’ routine a bit stale. This includes things like the gym, eating habits, drinking water, taking vitamins, etc. Over the past couple months, I’ve found that the best way to keep going with your goals, is to find new ways to achieve them. I wanted to share some of these alternatives with you as they might help you! Be sure to share yours with me as well in the comments below. If you’re like me and find it hard to go to the gym and workout, try a boot camp. The trick here is to find a location that is close to you. I say that because after a long day of work the last thing you want to do is drive another 20 minutes to work out. However, if the class is around the corner from your house, you have no excuse. I’ve also found that these group workouts not only motivate you to work out harder but encourages you to go. We all have that one junk food item, or a few that we can’t live without. My guilty pleasure is chips – put a bag in front of me and you can bet it will be gone. Over the past couple months, I’ve been trying alternatives such as Kale Chips and Roasted Chickpeas to reach for instead. This could be due to my new obsession with the Oh She Glows Cookbooks. Keeping this book in sight every day has helped me plan healthy meals, write shopping lists and explore new food options. Such as, adding lentils in your spaghetti sauce for extra protein – genius! They say you need to drink 8 glasses a water a day but that can be hard especially when water has no taste! 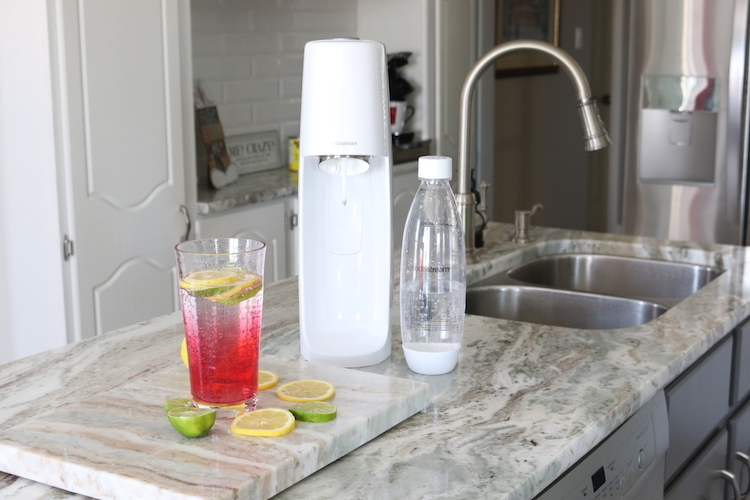 My new SodaStream FIZZI has been helping me to ‘Lose the Flat’ in my daily water routine. 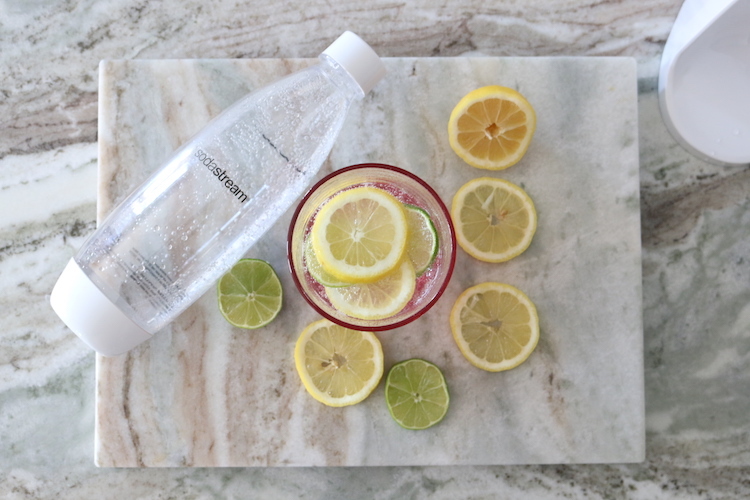 The SodaStream system quickly turns your regular tap water into sparkling water. As I’m a sucker for anything carbonated this has been a game changer for my healthier lifestyle. Instead of grabbing for a soda, I fill up the plastic BPA-free reusable bottle, fill it with water, insert it into the SodaStream, push a button and BAM! I instantly have sparkling water. I find even this simple change can help me drink the recommended 8 glasses of water per day. However, there are days when you need to add a little more life into your water. See below for my top 5 ways to switch up my water. 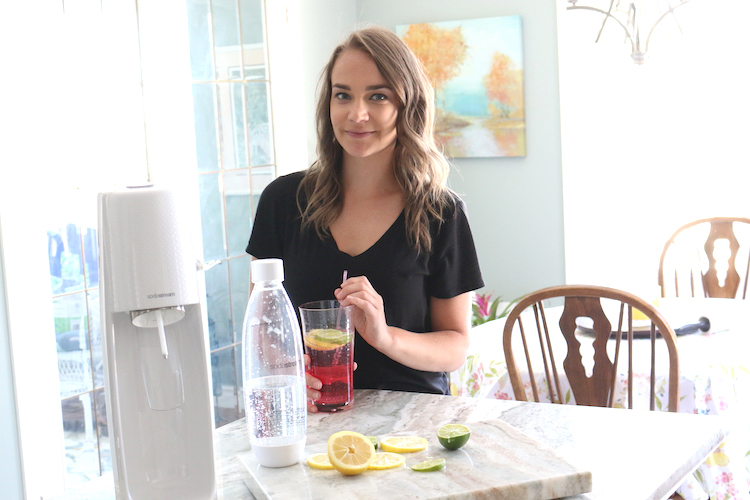 If these simple tricks aren’t enough for you and you’re more of a soda-queen, SodaStream does offer sparkling flavour mixes that will have you thinking you’re drinking your favourite carbonated beverage. What’s even better is that these mixes contain less sugar than other beverages.